​Rosemary Bliss’ greatest desire is to learn the family business: baking magical recipes. The Bliss family’s bakery is unlike any other thanks to their enchanted goodies that can help bring lost loves together or put a stop to a flu outbreak. When Rosemary’s parents are needed in a neighboring town, Rosemary is entrusted with the whisk shaped key that protects the Bliss family Cookery Book. However, Rose and her two brothers are under strict orders to not bake anything from the Cookery Book. When their long lost “Aunt” Lily turns up unexpectedly, she brings with her some of her own recipes and instills in the Bliss children the desire to prove to her that they can whip up a little magic of their own. After all, how much trouble can some love muffins and truth cookies really cause in a small town like theirs? This was a cute middle-grade novel and it was a nice break from some of the more serious novels I read in 2018. Rosemary is your average teenage girl who just wants her parents to take her seriously. She wants to prove to her parents that she is responsible enough to learn the secrets of their trade. The Bliss family bakery and home are connected, making the baking business an always present part of their lives. The character of Aunt Lily is extremely questionable from the very beginning. The fact that the Bliss children have never met her and only have a vague memory of their mother talking to someone named Lily in the past makes one question why she is there and who she truly is. When Rose and her brothers decide to dabble with the family’s magical recipes, things go incredibly wrong. The more the Bliss family children try to fix the problem, the more it compounds. Before long the entire town is suffering from one thing or another. I would give this novel four out of five stars and would recommend it to fans of magical fiction novels. I bought this book from Bookoutlet.com and the image above is my own. Callie Velasquez is a city girl but when her new best friends invite her on a camping trip, she agrees to go. It helps that her boyfriend will also be there. When the group loses most of their gear and food supplies, things take a turn for the worse. The group quickly becomes lost, and to make matters worse, someone is following them. The strange laugh they hear off and on, makes their trip frightening. Before too long, things turn from frightening to deadly when Callie stumbles across a dead body. Is the murderer the person following them; watching them? Can Callie and her friends make it to safety before they’re next? I’d never heard of this book until my step-daughter began reading it. She was completely enthused. She enjoyed this novel so much, she insisted I read it too. I enjoyed this thriller novel more than I had thought I would at first. From what my step-daughter had told me about it, I thought it was a horror story and I am not too keen on horror. The characters were well-developed and realistic, relatable characters. Though I didn’t personally connect to the main character, preferring the country over any town or city, I was able to understand her. Her friends reminded me of some girls that I used to go to school with. The settings were rich with detail without being overwhelming. Nearly every scene was well detailed without over riding the story line. This novel threw me a couple of curve balls I didn’t see coming, and that was a relief. While the revelation at the end, explaining what had happened, didn’t surprise me that was not the book’s fault as my step-daughter let it slip to me ahead of time. I would give this novel 3.5 out of 5 stars and would recommend it to fans of thriller fiction. I borrowed a copy of this novel from my step-daughter and the picture featured above is my own. Miss Petitfour and her sixteen lovable and mischievous cats love adventure. They bake, and read and frolic but there is nothing they love better than riding the wind with their multitude of colorful tablecloths. Every time they fly away from home, they embark on another adventure. I found this child’s book to be adorable and extremely entertaining. I cannot imagine having sixteen house cats, however, my daughter thought they were awfully cute. This book features five different stories, or adventures, that revolve around Miss Petitfour and her cats. Each story has its own adventurous plot line but features many of the same characters. I found this book to be whimsical and entertaining. I would give this book five out of five stars and would recommend it to young readers who enjoy Mary Poppins and similar stories. I received my copy of this book from LibraryThing.com for the sole purpose of providing an honest review. Human magic has been eliminated in Vastia by the evil Paksahara. Now with her army of the undead covering Vastia, it is up to Aldwyn, Skylar, and Gilbert to locate the descendants of the seven of the queendom’s most powerful animals, in order to summon the Shifting Fortress. With each animal’s unique magical abilities and wit, will they be able to summon the Shifting Fortress and defeat Paksahara once and for all, or will the queendom fall? My step-daughter first introduced me to this wonderfully imaginative and unique series. When I thought of a familiar before, I thought of a black cat clinging to the bristles of a witch’s broomstick. They weren’t much more than a witch’s pet. Aldwyn, Skylar, and Gilbert have completely reinvented the idea of a familiar. Each of these characters have their own unique abilities and while they are not as powerful as their Loyals, usually, their abilities make them forces to be reckoned with. I don’t really enjoy novels with zombies, or armies of the undead, but the unique and entertaining story line involving the search for the seven descendants composed mist of the story and the undead army was a distant background story, for the most part. The main characters are the same from the first two novels. The focus remained on Aldwyn, Skylar, and Gilbert and their journey. Their personalities have not changed, though they did grow. 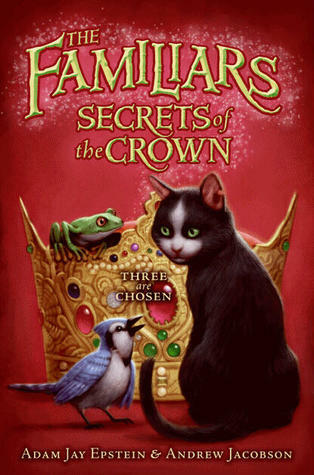 I highly enjoyed this third installment of the Familiars series and highly anticipate the fourth. I would give this novel four out of five stars and would recommend it to those who enjoyed the first two novels. ​Pakahara escaped and stole the shifting fortress. Now the evil bunny has cast a spell, wiping out human magic throughout all of Vastia. Aldwyn, Skylar, and Gilbert have only seven days to reverse the spell before Paksahara raises her own dead army of familiars in an attempt to conquer all of Vastia. However, the Crown of the Snow Leopard, the relic the three familiars must locate in order to stop the evil bunny, has been well hidden for many years and they must solve the clues left behind in an old nursery rhyme in order to locate it. If they fail, Paksahara’s evil plan will succeed. 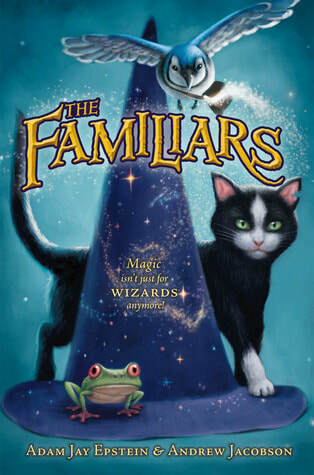 I enjoyed this second installment of The Familiars series. Personally, I am not a fan of zombie fiction, at all, there is just something about it that deters me. However, this novel had very little in it about the armies of the dead. This story focuses on the same three familiars as the first novel; Aldwyn, the cat, Skylar, the bird, and Gilbert, the tree frog. They must set off on a mighty quest to find an ancient relic that should be able to assist them in defeating Paksahara. The characters of the familiars are well formed and maintain exceptional personalities. I was sad to see that Gilbert played an exceedingly small role in this novel, barely allowing us to see his continued personality traits. Again, this novel focuses more on Aldwyn than either of the other two familiars, making him the primary main character. As the familiars set out on their new mission. Leaving their loyals behind, we learn more about Aldwyn’s past and his family. Aldwyn never knew his mother or father, except vague memories from when he was very young. We learn about his family as he learns about them. We also are able to learn more about Skylar. We are able to meet her family and see where she comes from. We are also shown more information into her anklet and her reasons for delving into dangerous magic. I would give this novel four out of five stars and would recommend it to anyone who enjoyed this first novel. I borrowed a copy of this novel from my step-daughter and have permission from the publishers to use an image of the cover artwork above. ​Kyle Keely loves all sorts of games, from board games to video games. So, when Kyle learns that Mr. Lemoncello, the most famous game maker ever, is responsible for the construction of the new library and is having a lock-in for the opening, Kyle knows he has to be there. Twelve essay winning seventh graders will be selected to be the first people inside the library, where they will be allowed to explore and spend the night locked in the library. Kyle is determined to be one of the essay winners. 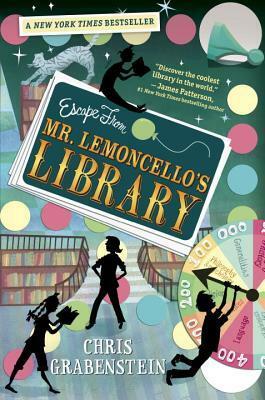 Mr. Lemoncello built the library because for twelve years his hometown of Alexandriaville has not had a public library. Without the library, where Mr. Lemoncello spent a considerable amount as a child, he would not have been the success he was today. But being the king of games, he has to make this the most fun library around, especially for the lock-in. Kyle and the other winners will have to use all of their instincts and knowledge to play the games in the library and to win the grand prize once they escape the library. This was an amazing read with fascinating trivia, and intriguing characters. The mystery around the game and how the different characters go about playing the games and solving the riddles is extremely entertaining. Kyle Keely is an intriguing character with an amazing strategical ability that he easily applies to solving this new game. Between his love of games and his natural leader qualities, Kyle makes the perfect protagonist for this story. I am a self-proclaimed bibliophile and proud of that fact. I have read many novels in my life and many classics. This book, however, made me feel like a novice with the many book related trivia questions. The character of Mr. Lemoncello reminded me a lot of Willy Wonka, in both appearance and personality. He loves what he does and he loves books. His wacky, outlandish clothing options and the way he talks in riddles from time to time makes me think of Willy Wonka, except with games and books instead of chocolate. I absolutely loved how this novel brought out the best aspects of the library and found a way for the library, all libraries everywhere, to appeal to children. I would recommend this novel to fans of “The Pagemaster” and “Book Scavenger” by Jennifer Chambers Bertman. I bought my copy of this novel at Goodwill and have permission from the publishers at Penguin Random House to use an image of the cover artwork above. ​Dan, Antigone, and Cyrus Smith have had a rough couple of years. Their father died at sea, their mother is in a coma, and they had to sell their home in California to move to Wisconsin. Now Dan looks after Antigone and Cyrus, as well as, the Archer, the motel they now own and operate. After a strange man arrives at the Archer one night, demanding Cyrus’ room, the Archer is destroyed and Dan is kidnapped by an evil man named Maxi. Now, in order to rescue their brother, Cyrus and Antigone must join an ancient and secret society of explorers and protectors. 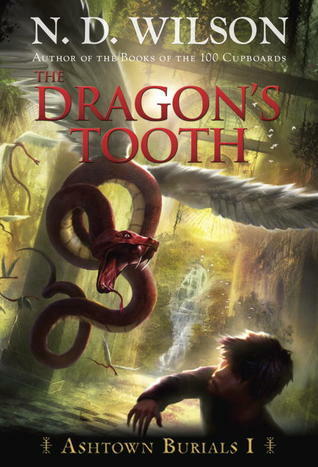 The madman who kidnapped Dan is after something, a rare artifact known as the Dragon’s Tooth, a blade with the power to raise the dead or kill the immortal. The Dragon’s Tooth was entrusted to Cyrus, without knowing who to trust, it falls to Cyrus and Antigone to keep it safe. But at what cost? This is an amazing adventure, fantasy novel. The characters are easy to relate to and their personalities are colorful and unique. The main setting is a perfect blend of realistic locations and fantastical imaginations. The writing itself is well constructed and flows easily. It was able to pull me in and keep me turning pages. My greatest complaint about this entire novel is that there were so many unanswered questions. By the end of the novel, I had so many questions about many of the characters and artifacts that I felt like something was missing. At the same time, this also made me want to read book two that much more. I really and truly enjoyed this novel. It was unlike any middle school novel I have read recently. I cannot wait to read book two. I would recommend this novel to fans of Indiana Jones and Artemis Fowl. I believe this would be a great novel for a young reader looking for a unique and exciting adventure. I bought my copy of this novel from bookoutlet.com and have received permissions from the publishers at Penguin Random House to use an image of the cover artwork above. ​Aldwyn lives the life of a skilled alley cat. Over the years he has learned a great deal about the city of Bridgetower and the people that live there. One day, after trying to steal a fish from a local merchant, Aldwyn finds himself on the run from the notorious, cat hating, bounty hunter, Grimslade. Aldwyn hides himself away in a pet shop. Though he escapes the bounty hunter, he quickly finds himself in a whole new situation when a young wizard in training chooses him to be his familiar. Aldwyn is suddenly thrust into a whole new world, there is only one problem; Aldwyn doesn’t have any magic. In order to remain with Jack, Aldwyn will have to convince the other familiars that he does have magic. When the three wizards in training are kidnapped, Aldwyn and the other two familiars are the only ones left to save them. The familiars begin their dangerous quest to save their loyals. Familiars are far from a new concept. Witches have been flying around with their little black cats forever. These three familiars are quite interesting. Skylar is a bird with a truly impressive knowledge of magic and history. Gilbert is a tree frog with a desire to prove himself to his father. Aldwyn is an alley cat who, over the years, has developed impressive survival skills, but no magic of his own. Their quest to save their loyals takes place in a mere three days, but is filled with obstacles, adventure, and unique settings. I enjoyed reading this novel. The story is well written and entertaining. The plot line is unique, adventurous, and inviting. I borrowed this copy of the novel from my step-daughter who recommended it to me. I have permission from the publishers to use the cover artwork image above. from BOOK SCAVENGER. Copyright 2015 by Jennifer Chambliss Bertman. Reprinted by permission of Henry Holt Books for Young Readers. All Rights Reserved. ​Emily Crane is moving to San Francisco with her family. Her favorite game, Book Scavenger, is based out of San Francisco, so, though Emily may not be happy about moving again, she is excited about being so close to her role model, Garrison Griswold. After Griswold is attacked at a local BART Station, the San Francisco version of a subway station, while on his way to launch his newest game, Emily, her brother Michael, and her new friend and neighbor James stumble upon a book, seemingly hidden behind a trash can. When Emily realizes it is actually the first part in Griswold’s new game, she enlists James’ help in solving the many puzzles and ciphers to get to the end. James and Emily are not the only ones after the treasure, and there are three dangerous men who are after the book they found at the BART station. Can Emily and James outsmart the criminals and solve the game first? The mystery behind Mr. Griswold’s new game sends them through an amazing adventure throughout San Francisco and history. Readers of this wonderful middle-grade novel will learn a great deal about Edgar Allen Poe, ciphers, riddles, and San Francisco. A truly wonderful book for young readers. I love the idea of a Book Scavenger hunt, especially on a national scale. It would be a wonderful way to interest children in books again. I only wish it was already a game so that my kids and I could play. This book is very well written and the amount of research the author must have done really shows. I am not the biggest fan of horror fiction, so, naturally, I am not a huge Poe fan. That said, I have read some of his more famous works, though it has been years. I began this novel with only a basic understanding of Poe and his work. I enjoyed the personalities of Emily and James and their desire to solve puzzles and riddles. Emily and James have completely different backgrounds. Since Emily’s parents have a goal to live in every state at least once, Emily has moved around a lot for a twelve year old. At first, each move was like a brand new adventure, but now that she is older, packing up and leaving time and time again is beginning to wear on her. It is hard to make friends when you have no idea when you’ll have to pack up and leave again. On the other hand James’ family has lived in the same house for generations. He knows the neighborhood and the people and he has known most of the kids at his school since they were small children. Despite their differences, Emily and James’ mutual love for puzzles and riddles helps them to develop a fast friendship. I would recommend this novel to middle-grade readers who enjoy books and challenges. I borrowed a copy of this book from my local library and have permission from the publishers at Macmillan to use the image of the cover artwork featured above. 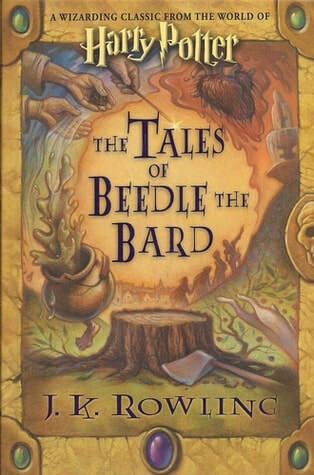 Hermione Granger has translater the marvelous tales of Beedle the Bard from their original runes. Here are the tales that for generations have been taught to wizard children, with communtary from Albus Dumbledor himself, and notes from J. K. Rowling. I read this book as a favor to a friend whose child has begun to show an interest in the Harry Potter books by J. K. Rowling. Having read the Harry Potter books as a teen, it has been some years since I have read any of the original books. This book was published after the original seven books, if I understand correctly, and is not connected to Harry Potter himself. Rowling has, in this book, written a collection of fables for her magical community. Much like our "Aesop's Fables," these tales are written to teach children certain morals. Unlike the Harry Potter books, this book appears to be written for a younger audience. It includes simpler vocabulary and illustrations and is only 107 pages long. While the morals they attempt to teach are, for the most partm morals parents do, in fact, try to teach their children, some of the stories are unpleasant and, perhaps, not something parents would like their younger children reading. My meaning being that the style is for a younger audience, while the stories themselves, are for an older one. It is well written and developed, with Albus Dumbledor's character evident, as if Rowling took on his character while writting. I believe anyone who enjoyed the Harry Potter series would enjoy this book. I do caution parents of younger children that this book does, in fact, have questionable content for younger readers, including a murder/suicide. Each parent is responsible for judging their own children's maturity level. I simply suggest parents may want to read this book before their youner children. I bought this book from my local library and have permission to use the image above, granted by J. K. Rowling's PR representative with the condition that I properly credit it. Therefore, this book was written by J. K. Rowling and published by Scholastic Inc.
Middle grade novels hold a special place in this world as they help children to transition into their teenage years and help to shape and mold who they will become.